But against those production problems was arrayed some of the best singing the LBO- Soprano Suzan Hanson as Xirgu—have ever produced. Golijov’s score is rich…and the singing was rich and deep and filled with raw emotion. 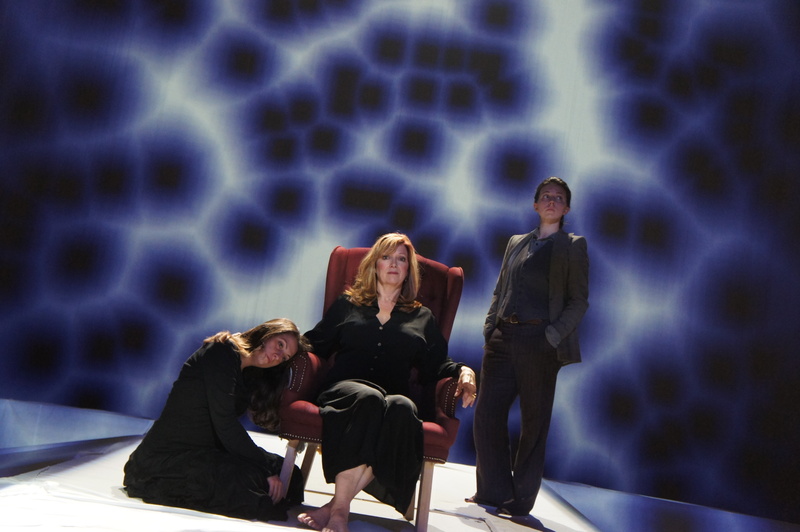 Soprano Suzan Hanson, as Xirgu in this production, sings Lorca’s story in a clear and powerful voice. Suzan Hanson brings gravitas, passion and a refined exaltation to the dying Margarita. Hanson displays complete command of her role from the outset. Every gesture seems organic, with Hanson’s redoubtable voice arising so naturally from the emotion of the moment that the notes ring out almost a perfect afterthought. .. the most glorious singing….Suzan Hanson sang Margarita with power and pathos while finding ways to hint at the grande dame of the stage underneath. Suzan Hanson, who is front and center for the entire 90 minutes, once again dominates the stage with an undeniably authoritative presence and a large, gleaming soprano.